It seems we Australians could have speedway where ever we wanted it, We had speedway at showgrounds, sportsgrounds, greyhound tracks, horse tracks, dirt tracks, football ovals but never, never would we have a speedway at a hockey field, wait up yes we did. The East Ipswich Hockey fields on the corner of Chermside Road and Jacaranda Street way back in the 1930's, strangely enough was, Most of the competitors were locals, A few Brisbane riders were encouraged to come along but local riders on the day included Harold Hastings, Bert and Vic Coetzsch, Charlie Spinks and Pussey Wales. Spinks was the hot shot at many Queensland speedway venues but Ipswich was home and he rode there whenever possible. Hastings also a local and son of the towns jeweller, went off to race in England for many years and returned home as a sporting celebrity. But just like so many pre-war venues, the war took it toll, By World War 11, The hockey grounds were no longer emitting the sounds of open exhaust motor cycle engines and post war history shows the only competition on the grounds were the clash of hockey sticks. The grounds show no sign of ever being a speedway track. 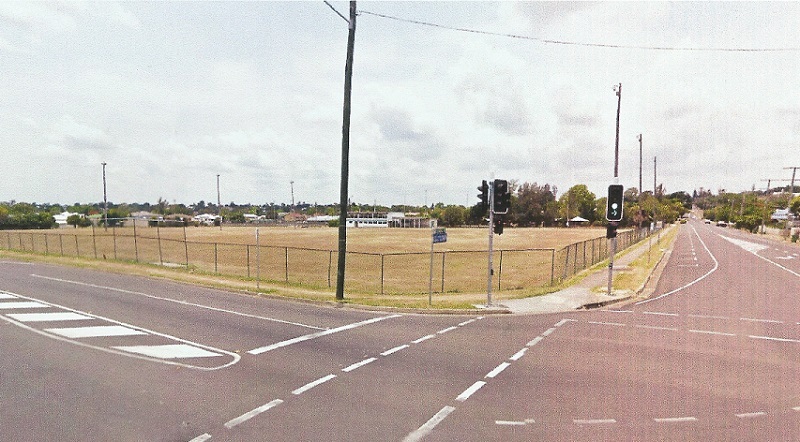 The hockey club has since moved to a new home at Raceview, The old hockey grounds have been remamed :Gribb and Foote Centenary Memorial Grounds".